"He Feels the Yiddish Songs in his Soul"
Read the feature story from the Boston Globe about Anthony Russell and Dmitri Gaskin, Tsvey Brider. We invite you to read the article and share in our enthusiasm for this wonderful event, the Tsvey Brider Concert at CBE on February 2nd. "Acton’s Congregation Beth Elohim celebrates MLK"
The Beacon published an article with several photos covering the MLK Breakfast held at CBE on January 21st. The breakfast was sponsored by CBE's Na'aseh and featured speaker, Roland Gibson of Littleton, MA. Mr. Gibson is a former METCO director and educator and, in retirement, a social activist. 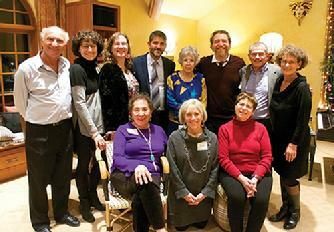 "Grassroots ‘Light for Light’ helps hard-hit Puerto Rican town"
Another wonderful piece in the Beacon by our own Sue Wood, highlighting the work of Marjie Cahn and her passionate team of fundraisers, to bring Diego Mendelbaum, of the San Juan JCC, and 75 guests to Linda and Denis Friedman's home and raise $30K for hurricane-ravaged Puerto Rico. 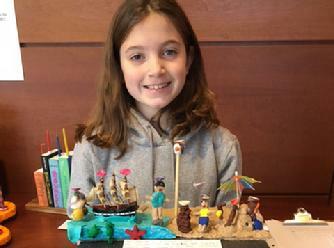 "Congregation Beth Elohim Celebrates Purim with Annual Shpiel"
The Acton-Boxborough Beacon ran a short article and several photos short article and several photos from our 2018 Purim shpiel "Alexander Hamantashen". 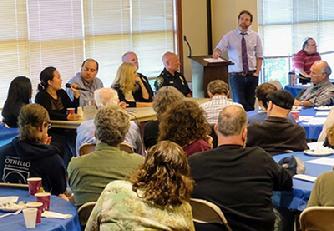 "Acton Congregation Beth Elohim students create menorahs"
"CBE hosts Safe Communities Act panel with State Sen. Eldridge in Acton"
On October 6, the Beacon published coverage of our October 1 panel, written by freelance writer and CBE congregant Sue Wood. 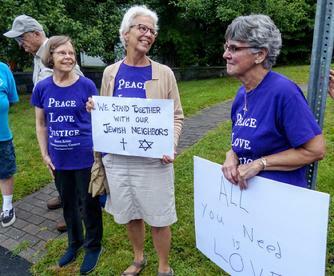 "Faith groups support Acton’s Jewish community"
As congregants of Congregation Beth Elohim (CBE) arrived at the synagogue last month for a pre-Sabbath discussion of the events of Charlottesville, Va., they were greeted by local faith community members who lined the entrance holding signs of love and support. 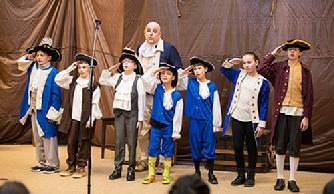 This report was published in the Beacon on September 25. 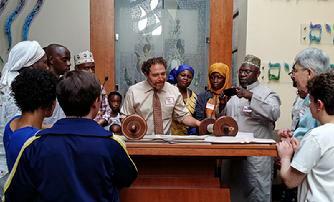 "Acton congregation reaches out to Muslim community"
The Acton Beacon shared the story of our interfaith potluck dinner on July 9 and the Na'aseh outreach behind it. 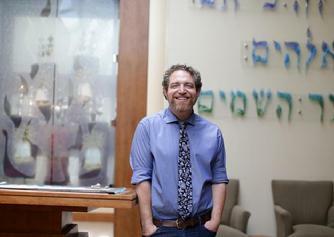 "In Acton, a new rabbi for a new generation"
Read the great piece on Rabbi Rothbaum, published online June 30, 2017, and in the Sunday print edition of the Boston Globe. Thanks to the Globe editorial staff, Globe writer Steve Maas, and Globe photographer Jonathan Wiggs, and to CBE-er Beth Schrager for helping to make this happen.